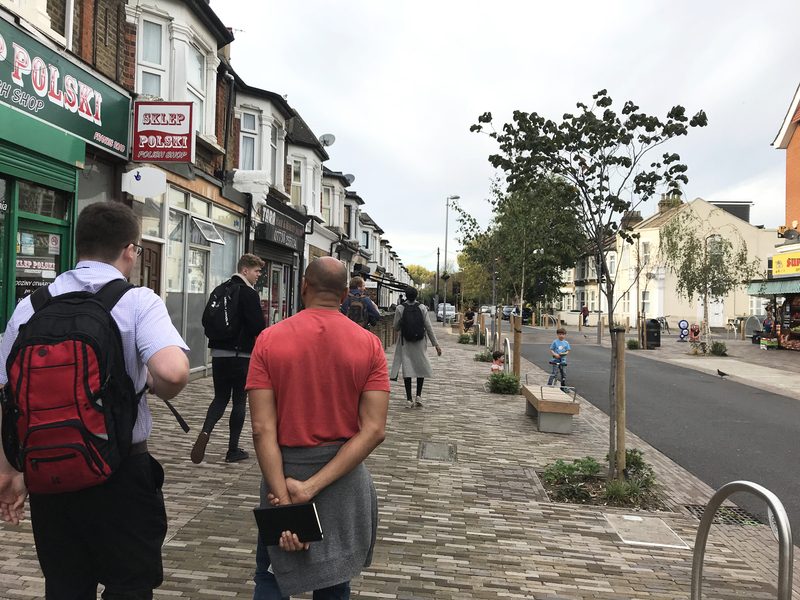 Last month, Roman Road Trust, QMUL students, and Friends of Meath Gardens joined Enjoy Waltham Forest and What if: Projects on a Mini-Holland walking tour through Waltham Forest. 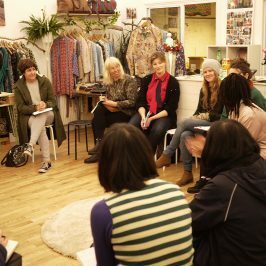 The field trip was part of Roman Road Trust’s latest QConsult project in which four students from QMUL have been working on completing a Shopping & Transport survey in businesses in Roman Road East (Bow). 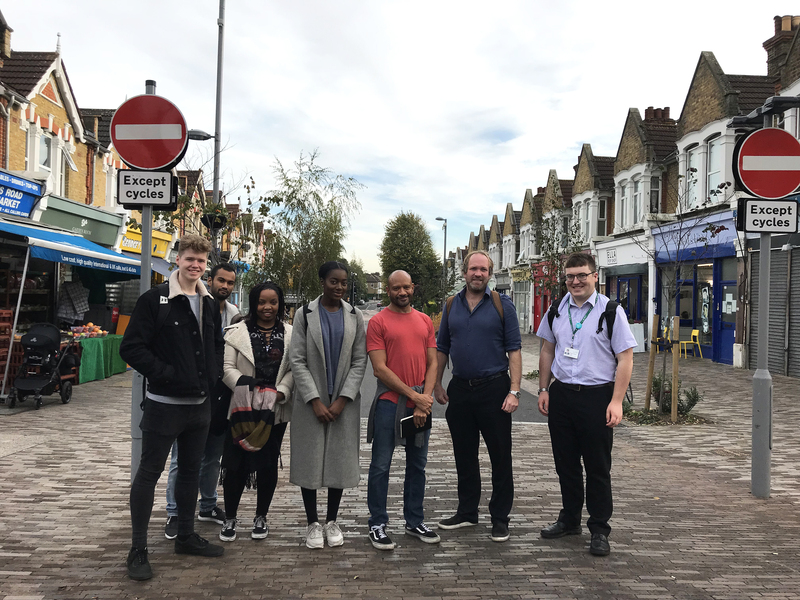 The field trip was organised to inspire the QConsult Team as to how the results of the Shopping & Transport survey could be used to improve the experience on Roman Road high street. The Mini-Holland programme is part of the Mayor’s Healthy Streets agenda to help Londoners reduce their use of cars by encouraging them to walk, cycle and use public transport instead. 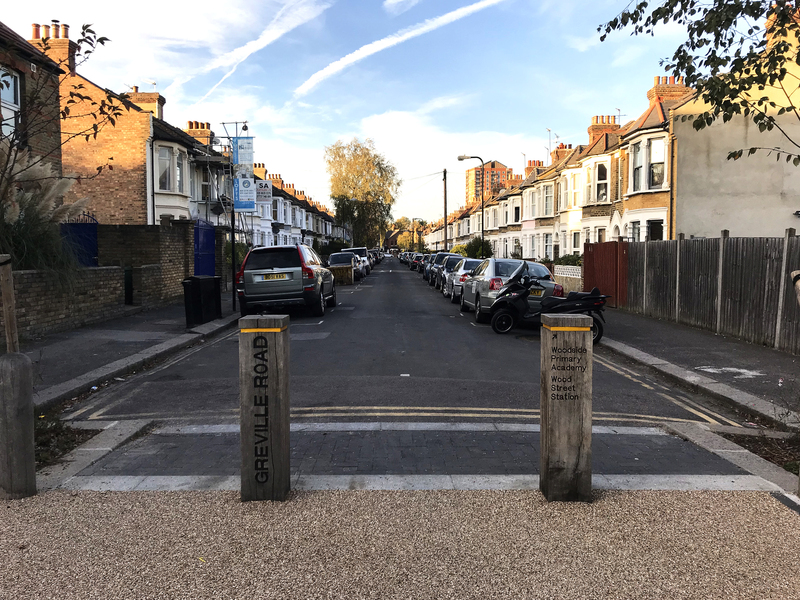 Three outer London boroughs (Enfield, Kingston, and Waltham Forest) were awarded £30m each from the Mini-Holland programme to help these boroughs improve their overall public realm by creating things such as network of cycle routes. 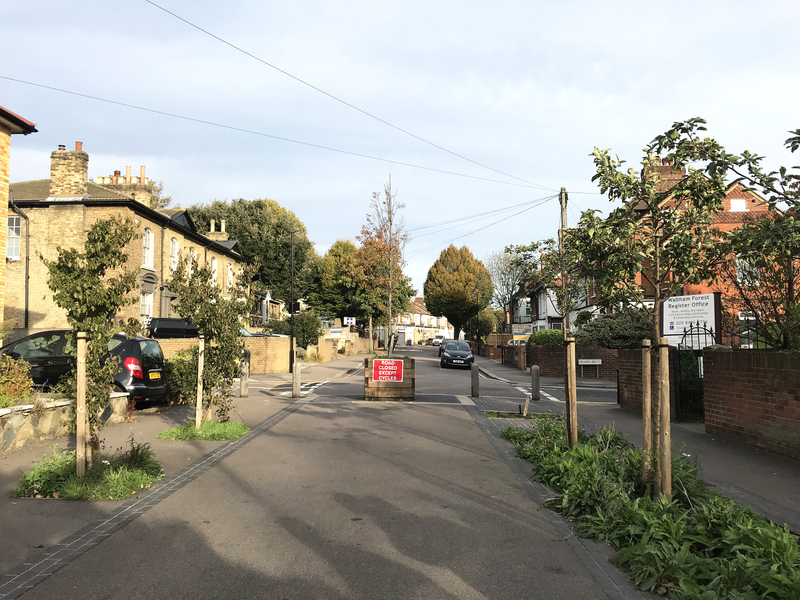 Waltham Forest Council is the first London borough that has successfully implemented a wide range of Mini-Holland schemes with it’s Enjoy Waltham Forest initiative. 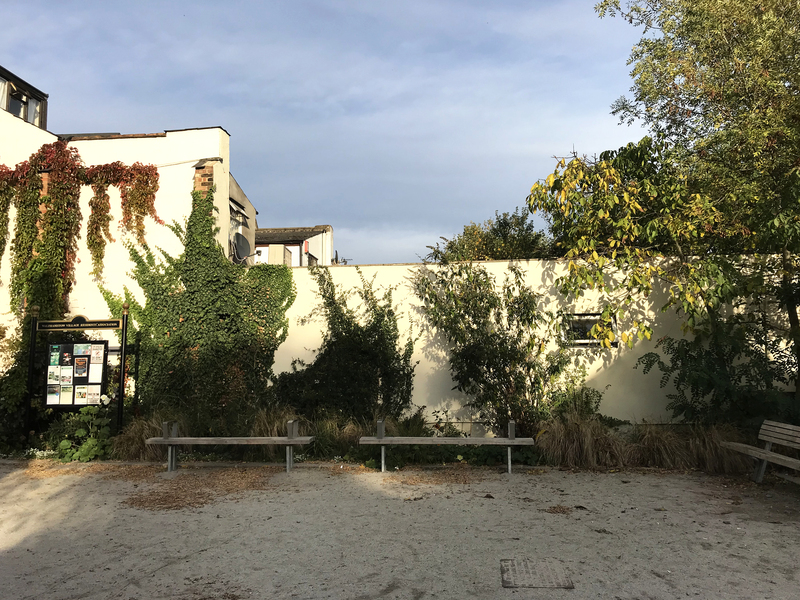 They used their funding to create designated spaces for cycling such as cycle routes, segregated cycle paths, and cycle hubs for secure storage across the borough. 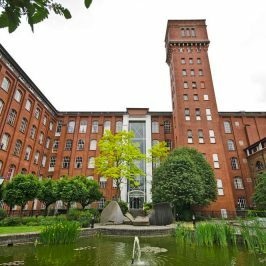 In addition, Waltham Forest Council redesigned public areas and pedestrianised high streets as well as removing unnecessary motor traffic on residential streets. During the two-hour walking tour, the group visited ten different and inspiring schemes in the Borough. Gareth from What if: projects joined the group at Bakers Arms junction where architects are developing a new scheme. Gareth took the group to see Grove Road – a pedestrianised street where a new Orchard was developed with a local garden group. Gareth also showed the group East Avenue bridge crossings where bollards have been added to create play elements and seating. Finally the group were shown St Mary’s Church square and Greville Road which were developed as new town centres/squares to offer seating and meeting space at and Orford Road where the pavement was widened. 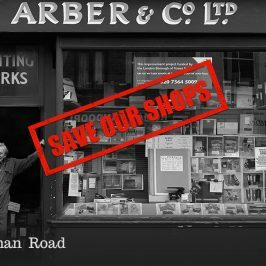 Roman Road Trust is researching how an underused car park in the heart of the high street could be better used for the benefit of the community surrounding the high street and local businesses. The space could be used in a variety of ways such as a town hall, village green, community building and/or event space and could be integrated into a wider scheme that priorities pedestrians rather than vehicles. 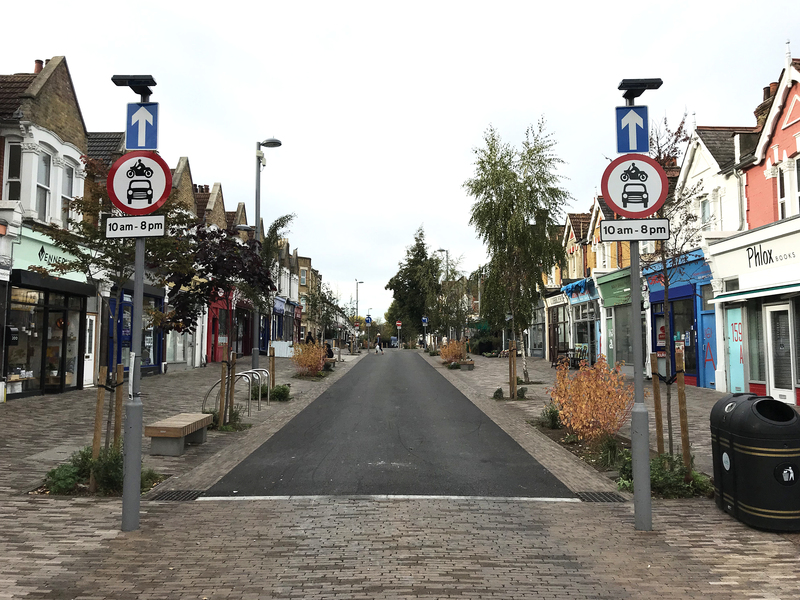 Roman Road Trust has been gathering the evidence necessary to show how this space could be used to transform the high street for the better. Roman Road Trust would like to say a big thank you to Waltham Forest Council, the Enjoy Waltham Forest Team and what if: projects for an inspirational and eye-opening tour. To find out how the QConsult Team presented their findings in the form of Theatre of Debate, click here.